I've teamed up with some of my favorite non-toxic brands to give you guys some of my favorite goodies! 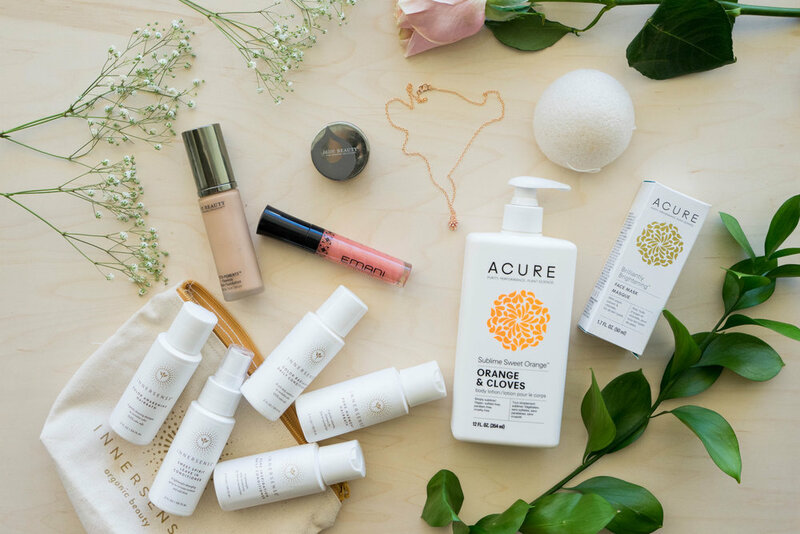 It's been a journey getting to the point where all my beauty products are non-toxic! I wanted to give you guys the chance to try some of these items for yourself and put them to the test (except they will pass because you WILL love them). Entering is easy so don't miss out on this giveaway! In order to be qualified to win you must follow all brands on Instagram, tag a few friends on the giveaway post on Instagram and submit your email address below. Giveaway will begin Friday April 13th and end Sunday April 15th at midnight (MST). Winner will be announced on Monday through Instagram.